Specialists for times of change. Sometimes the need is straightforward, as in, “We need a better way to do our annual strategic planning.” Other times it requires pulling together several disciplines; for instance, “We need a smart and engaging naming process.” Or 3.2.1 wires together every part of a launch—from defining elements to the cascading plans that lead to liftoff. The common currency is the yen to do the next thing well. 3.2.1 focuses on the strategic junctures where you need expertise to help your team be efficient, effective and, ultimately, successful. Click the tabs below to see our focus areas. Proven tools with a proprietary advantage. A good process at a good clip—this is what things like strategic planning and new initiatives need. 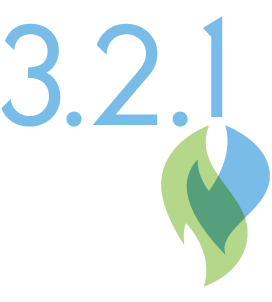 3.2.1’s proprietary database-driven tools allow you to do exactly that. 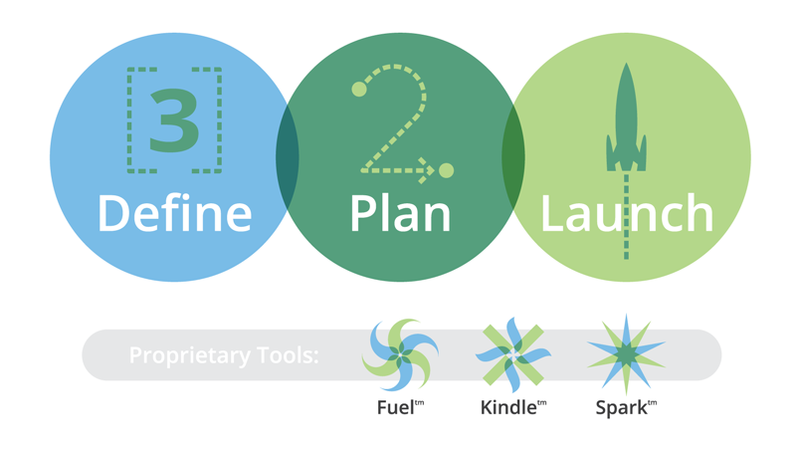 With Fueltm, Kindletm and Sparktm, we maintain the momentum at those points where traditional processes start to lag. The result is a fast and efficient map to what’s next. We are called on regularly to speak and train on the issues we are passionate about, with topics that orbit around the idea of helping teams—and the people within them—be more effective. 3.2.1 has spoken at multiple corporate and Chamber of Commerce events, as well as larger gatherings with groups that include American Marketing Association, Midwest Society of Association Executives, Minnesota Healthcare Strategy & Communications Network (MHSCN), Central Minnesota Clinic Managers Association, Radiology Business Managers Association, Minnesota Council on Foundations, Ladies 2.0 and the Minnesota Council of Churches. Click the boxes below for details on some of our topics.